Safety Features for Manufacturers and MAHs - Requirements and the Process of Connections Nár. org. pro ověřování pravosti léčiv, z.s. 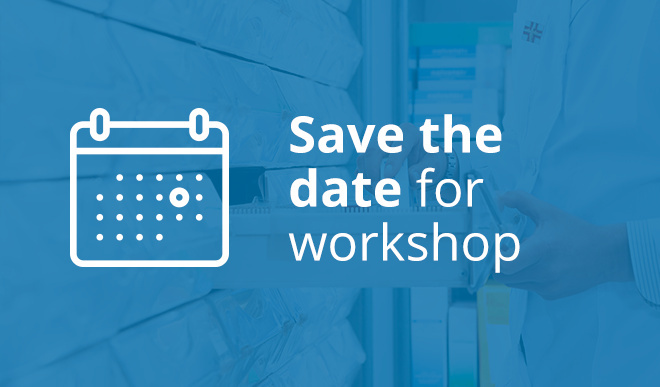 The workshop dealing with: “Safety Features for Manufacturers and MAHs - Requirements and The Process of Connecting Manufacturers and Marketing Authorisation Holders to the Repositories System” will take place on 10/04/2018 from 9.30 a.m. to approx. 2.00 p.m. at the State Institute for Drug Control. The main aim of the workshop is to inform participants about the EU HUB onboarding process and its requirements (technical and financial, along with the individual steps of the process), explain the concept and extent of onboarding partner activities and other issues related to data uploading by the manufacturer/MAH. Presentations in the workshop will be given by representatives of SÚKL, as well as of EMVO and NOOL. To participate in the workshop, please register at the SÚKL portal, where you will also find more detailed information about the event.